From the time of our development in this arena, we have been instrumental in delivering a wide consignment of Leathack Black Paper. In conformism with the pre-set standards of excellence, these are crafted using topnotch basic amenities along with contemporary machinery. Established in the year 1994, R.R. Prints, are recognized as one of the most trusted Importer, Supplier, Wholesaler and Trader of Printing Papers. 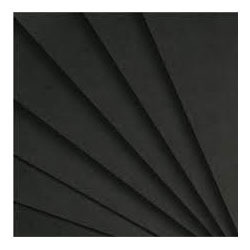 This range includes Classic White Printing Paper, Classic Ivory Paper, Laid White Paper, Laid Natural White Paper, Laid Ivory Paper, Hammer White Paper, Lego White Paper, Felt White Paper, Felt Ivory Paper, Ribbed Ultra White Paper, Smooth White Paper, German Ultra White Paper, White Translucent Paper, Iris SG Paper, Rendezvous White Paper, Linen White Paper, Old Mill Stucco Paper, Stucco Tintoretto Gesso Paper, Free Life Raster Paper, Two Sided Printing Paper, Digital Printing Paper, Recycled Paper, Color Paper, Alabaster Paper and Metallic Paper Cardboard.